Site is closed from registration. I came across this watch from the website recently and quite interested in it...Anyone here care to review on this? Is the timepiece worth the investment? Is miyota movement used by citizen too? I dont think watches are an investment, but I would look at other boutique watch brands other than Deep Blue. Something about the name, watches being sold on ShopNBC and their rather generic design that makes me stay away. I would suggest that you go for something that's available locally, put those obsolete brands 2nd in your looking forward list. Watches, no matter what brands(generally applies to those that are priced below $15k), will depreciate over a certain period of time...hence, the subject "investment" is really debatable. If your term "investment" applies to build quality, and over-all value- which is workmanship, movement... @ that price of USD$399, you could perhaps be able to get something better. Alrite ED, u got what I meant by *investment* not really a resale value but quality for money. What I knew about most diver watch of that kind usually cost more? Is there any specific model or brand that u can recommend around that price range? oh ok..Steinhart, pretty good...alrite, will take note of it , thank you. came across deep blue too. tried to look up some info on them but can hardly find them. even their own website do not have much info on their own brand, like when they started making watches and all. anyone have any idea? coz their prices seem v competitve for the kind of divers they are offering. why now your cup of tea? I know this is an old thread but i also chance upon a deep blue watch. Looks and feels very good for a professional diving watch. Best thing is the lume, should be among the fore runners if not already the best. 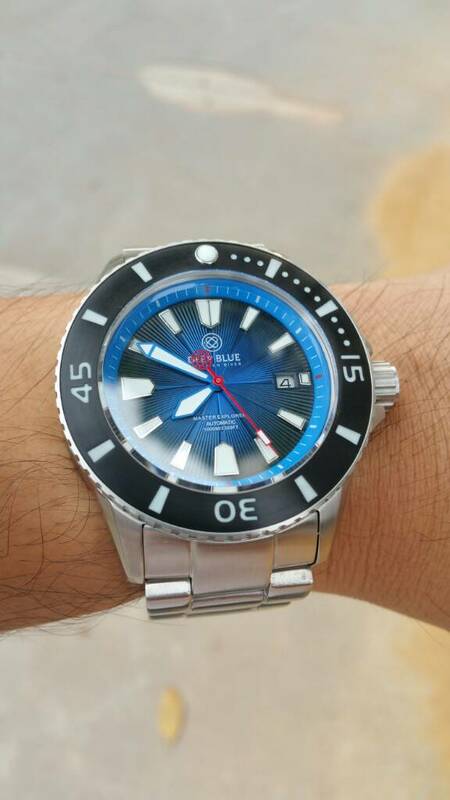 locally which shop is selling deep blue diver watch? due ot the space, the price sure mark up very high. sick to seiko and citizen can lah! I don't think there's any shops in SG selling Deep Blue watches but u can find some in WUS or eBay. They have a huge following in the West. I saw Deep Blue watches, quite a few at a shop on the ground floor of excelsior shopping mall or something ? I want to be a one watch guy!! Oh really? What's the price range like? Thanks for the share! Will check it out one day but I'm sure i won't be getting any DB locally. Got get it from online. Price at least few hundred cheaper than SG selling.